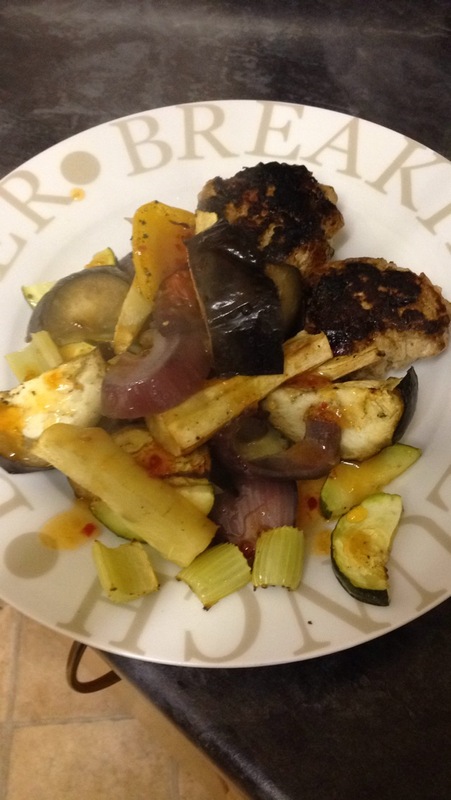 If you’re caving a burger but looking for a healthier alternative then this tasty creation is perfect. 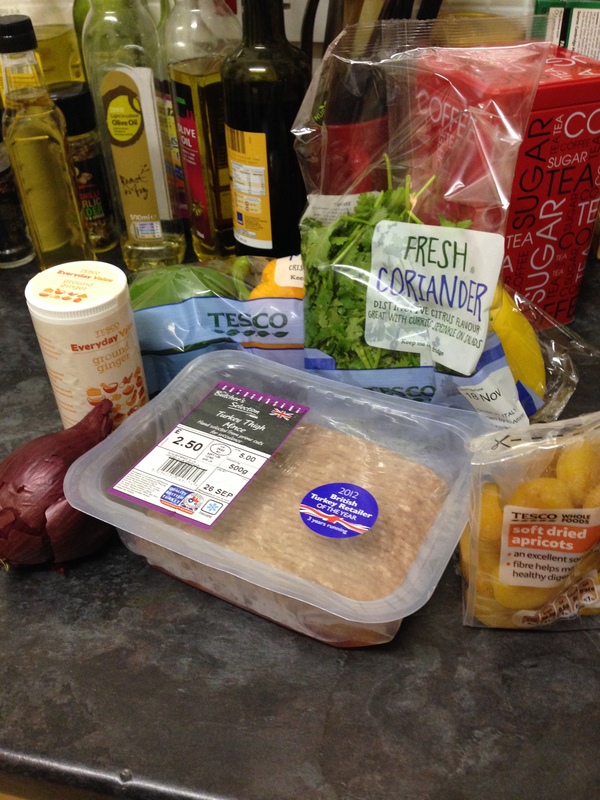 Lean turkey mince is lower in saturated fat than beef mince but still makes a proper burger and teamed with these ingredients it’s packed full of flavour. – These burgers could not be easier to make – you basically put all of the ingredients, except for the oil, in to a big bowl before mixing together. – It’s easiest to mix it all together with your hands to really make sure it’s combined. 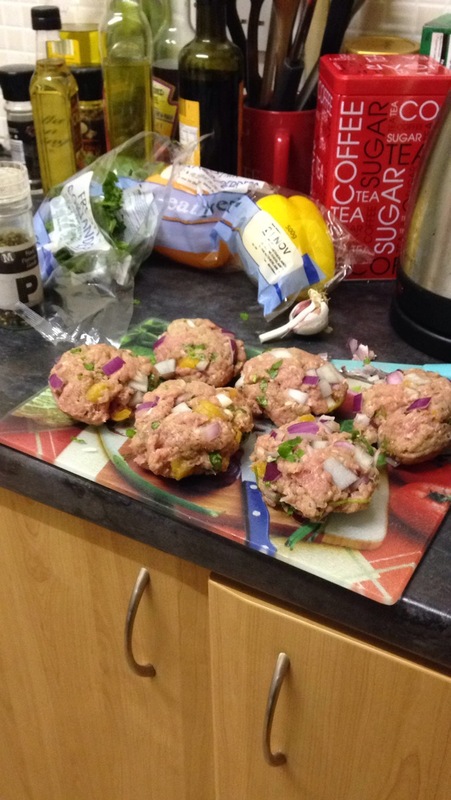 – Make six burgers before brushing with oil and putting under the grill. – Cook for 6-8 minutes on each side until they are thoroughly cooked and the meat is no longer pink. They really are that simple. I served mine with roasted vegetables but they would be great served in a toasted wholemeal pitta with salad for lunch as well. Tastier then they look – I promise!